Digital marketing has shifted over the past two or three years. Everyone thinks digital marketing is the end all and be all, but there is no magic bullet. All the pieces have to fit together. Digital marketing can bring in that cold traffic to warm them up and build a relationship with, but unless you have a physical product, it’s not the place to just click and buy. Jim McCraigh says there are so many people trying to sell so many things that we become overwhelmed. Jim has been a speaker, author, mentor and consultant for over three decades. 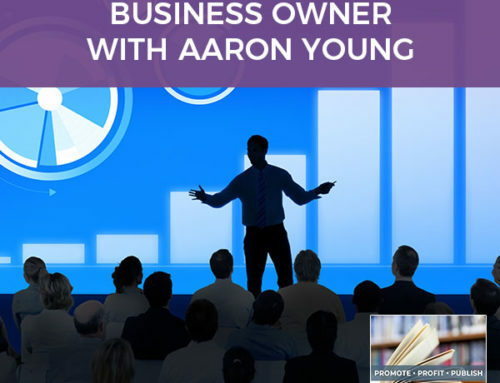 He teaches coaches, consultants, and speakers to raise their game and grow their businesses. 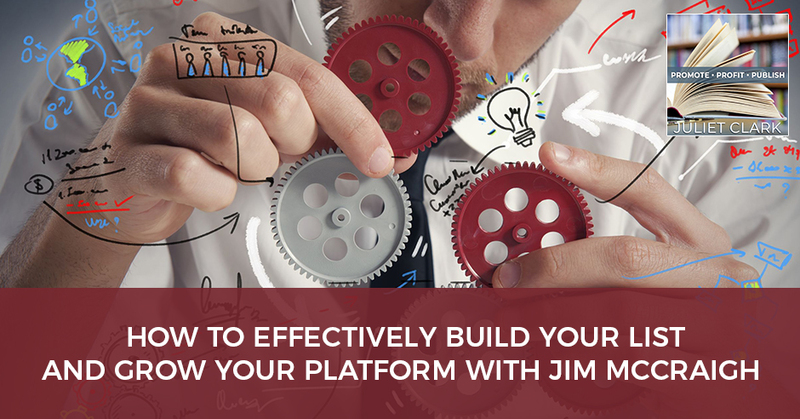 Jim talks about platform-building and dives deep into list-building to help you connect with your audience, get more high-value clients, and grow your business. I’m excited about our guest. 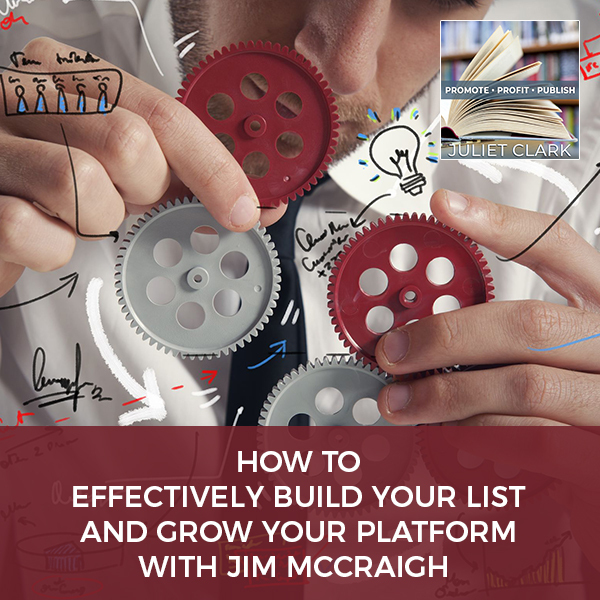 Jim McCraigh teaches coaches, consultants and speakers to raise their game and grow their businesses. With over three decades of executive coaching, speaking and most importantly, real life in the trenches business and corporate experience, his views are fundamentally different from most coaches. He helps his clients with not only what to do, but the step-by-step of how to do it along the way. 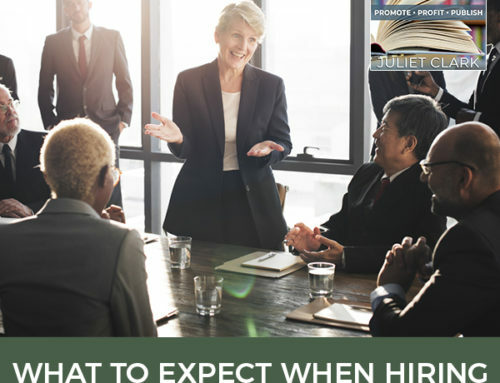 The Sleeter Group, The Principal Insurance Company and Bank of the West among others have partnered with Jim when they wanted to teach their employees how to efficiently and effectively find more new clients. He is also a part-time Director of Marketing at The One Page Business Plan Company, an international coaching and consulting firm with over 550 affiliates worldwide. 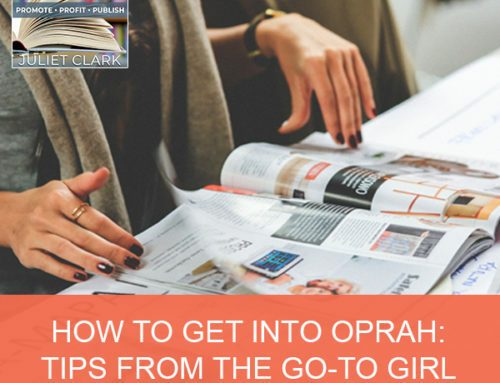 He’s an author of How to Write Words That Sell and How to Find More Customers and Clients With Webinars, Seminars and Workshops. Both of those are over on Amazon. He has worked as a professional speaker, coach and consultant with both Fortune 500 companies and solo entrepreneurs. During that time, he’s helped dozens of coaches, consultants and speakers grow their own businesses. Doug Sleeter, the President of The Sleeter Group says of him, “Jim is a great thinker and strategist. I met him when I was just starting my company and he played a pivotal role in helping us build our company. He helped our company grow from a startup to over $1 million in revenues in less than four years. He’s a pleasure to work with and I would highly recommend him to anyone.” Welcome, Jim. I’m excited to have you here. I’m so glad to be here. I’m excited to have you here because part of being an author is having a solid platform. 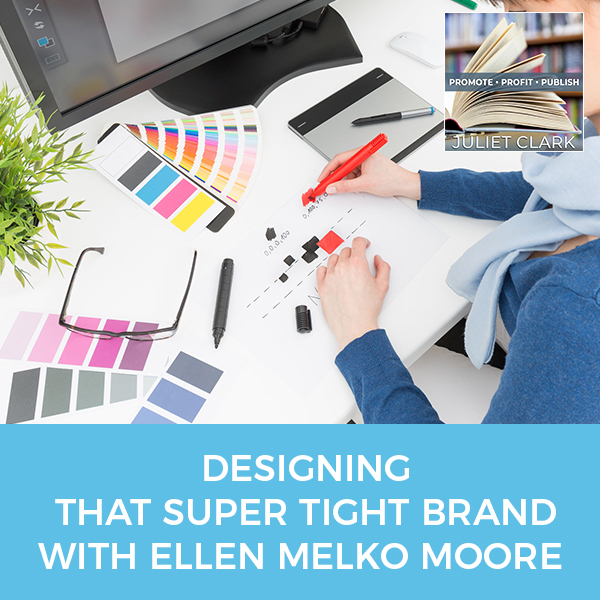 I started my company as a publishing company, but now I work with businesses just like you do because so many of them are writing books without a platform and it’s hurting their businesses as well. I want to talk a little bit about platform building from a list building standpoint because people aren’t building lists like they used to. 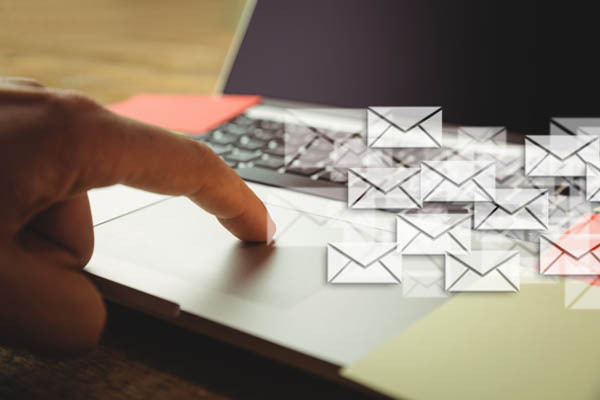 Why email is such a great platform? Email has evolved into a great platform because of all the competition everywhere else. I saw a number that said that there’s one blog for every seven and a half people on this planet. YouTube has more video uploaded to it every day than one human could possibly watch. I’ve done some research and I found that people get about 147 emails a day. Probably more if you’re in business, probably less if you’re not. That gives us a place where we can get in and if we’re producing the right content, then people will look forward to getting emails from us and that’s part of the trick. List Building: People get about 147 emails a day; probably more if you’re in business, probably less if you’re not. Are there certain strategies that work better than others for building lists? If I had to put an overall umbrella over it, I would say, “Always be list-building in everything that you do.” In other words, when you’re out speaking, when you’re meeting someone for coffee, when you are writing, when you’re doing anything, we need to be aware of the fact that we’re trying to build our list. Our list is important for a number of reasons. First of all, we can have followers on Facebook and we can have our LinkedIn platform and those are still important. The thing of it is those things can go away. Google announced this year that they are ending Google+ and who remembers MySpace? They are gone. We need to have control of our list and that means that we bring it in-house and we can control it. The reason for that is a lot of the companies that do this and there are three or four out there, Mailchimp is one. Another one is GetResponse and AWeber. I’m not promoting one over the other and I have no interest in any of them other than I use MailChimp. They allow you to use something called an auto-sequencer or autoresponder and that’s key to building a relationship with the list. People think about list in terms of list size only, but we have to think further down the road and say, “What about list quality? What’s my relationship with the list? How often do I interact with the list and how do I interact with the list?” Those are all important things. We build our platform not so much always by the numbers, but by our interaction and engagement with our list. One of my friends who is a bestselling author keeps her list squeaky clean. If you haven’t opened in 30 days, you get a message saying, “If you don’t open this, you’re out.” She does that because when she releases a book, she has to have buyers on at least two platforms. She knows where every single reader purchases their books. Even better, she has no old people on there. They’re current. She knows exactly how many people will buy books and it’s incredible. It’s all about quality with her and she does a good job with it. A lot of coaches don’t embrace the idea of the list. Why do you think that is? I believe that part of the problem is that in their mind they have a small list. They might have 200 or 300 people. The issue is not the list’s size but your relationship with the list. If I have a good relationship with 300 people who were on my list, I’m far better off than someone who has 10,000 people on their list. If you stopped emailing those people, they wouldn’t miss it. Some people make a business of buying mailing lists that are inactive and taking those and building relationship with them. I can’t stress this relationship thing too much. It’s very important. If you have eight names on your list, then start the process and I’ll explain the process this way. When we start emailing people, it’s not that we are going to sit down every week or every two to three days and have a chance to create new material that we’re going to send to them. When we build an auto-sequencer with an email company, what we’re doing is we’re loading emails into a hopper. Have you ever seen these hoppers on tennis courts? Where the machines throw out tennis balls and you don’t need a partner to practice. I see the email that way. We put all these in the hopper. Mine’s got almost a year’s worth and we send those out not when we’re ready to, but they go out automatically. The first email has certain things that were going to say and then there are other emails that have other things that we need to say and so on and so forth to build that relationship. That consistency is the issue. Even if you start with a very small list as your list grows and more and more people are going into this sequence and began to know, like and trust you. Consistency is important because if you’re not consistent, then people forget. I want to explore that dynamic a little bit more between social media and the list. Many people don’t take those people off of social media and into their list. I feel like we’re all one algorithm away from losing our life’s work. Can you talk a little bit about why that’s so important and why the list is your safety net for that? This algorithm thing, I’ve learned that Facebook doesn’t show all of your posts all the time to your whole audience. They’re in the business of making money from their list of users and were there to provide content for them. 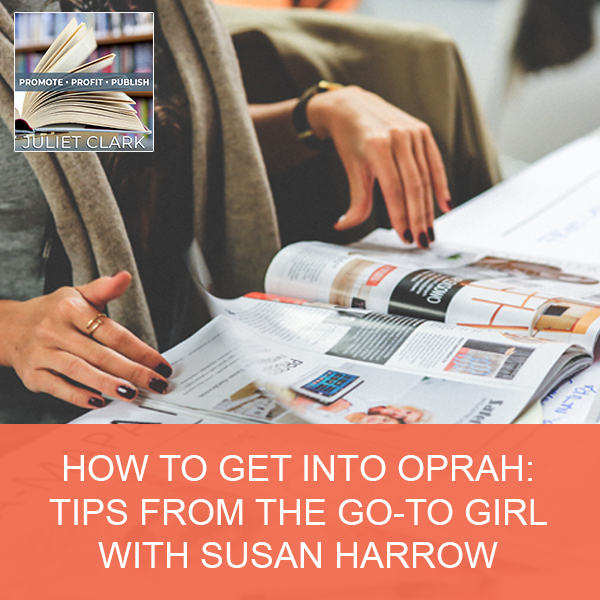 I want to turn that around and what I tell my clients is use your following on Facebook or LinkedIn or anywhere else to be converted into your own list. Your marching order is to get them converted from LinkedIn followers for example, onto your list. Most people do that with some lead magnet. If you look at my lead magnet, you’re going to see it’s a five-day email course. I’m going to tell you, please don’t do that. That took me a lot of work. What makes more sense now and if I have to do it over again and maybe someday I will, I would have a one-page cheat sheet. Something that’s easily digestible that somebody can use right away to make some change in their business right now. Mine is over five days. That’s okay. If you’re over longer than that, if you’re out with a program that’s two weeks or three weeks, then you risk people being lost or checking out or saying, “I’ve seen all this before.” The whole strategy I want to get across is to convert those people to your own list because you own your own list. You control your own list, you back up your own list and that list warms your platform. If you’re going to launch a book or an information product or you’re selling your coaching services, no matter what it is, you need to own your own platform. I like to use our assessment marketing quizzes because they also give us a lot of information about our consumer. One of the other things I want to mention about Facebook and using those other platforms is that if those go away now and you are tending to your list in a very nurturing way, you’re warming up that list. Anybody that you bring off from like a Facebook ad campaign or a Google campaign, that’s cold traffic. A lot of people don’t understand that that list is where you nurture and warm them up. List Building: If you’re going to launch a book or an information product or you’re selling your coaching services, no matter what it is, you need to own your own platform. It’s interesting because when I first started in the business, there was no such thing as LinkedIn or Facebook or lists. 2019 is my 31st year of doing this. There was none of this and I literally started out with 3×5 index cards in a box and that was my list. It was difficult to nurture a list like that. I did workshops and I developed my own mailing list and I did labels and I did bulk mail. I had my kids putting labels on things on the kitchen table. That’s how I started out. The good news is that you don’t have to do that anymore. You can take advantage of this technology and use it. I wish that I would’ve had it then. What you’re doing is you’re building up this body of evidence that you are a coach, that you are in business and that you help people. That you get results, that you have outcomes that are valuable and so on and on. When I do an email sequence with people, I try to build all that in through stories. Stories are important because what can happen is, we start pushing out the facts. There was a television show many years ago called Dragnet and Sergeant Joe Friday, one of his phrases was “Just the facts, Ma’am.” That was it. We can’t use our email list to send only facts. We have to send things about ourselves. We have to be relational with our list. It’s not enough just to send things. We have to show ourselves. We have to maybe be even a little vulnerable. When I say vulnerable, some people jumped down my throat and say, “I can’t ever tell anybody that I’ve never been 100% successful because they’re not going to trust me.” I have news for you. They’re not going to trust you if you don’t show something because we all have something. When I first started out in my business, I was a single dad and I had a junior-high-age son, seventh grade and there were times when I wondered how I was going to pay the rent. That was a motivator for me to become successful in this business. I struggled until I reached out for help to a coach, somebody who understood where I was and could understand where I wanted to go. When I tell that story or when I included it in my emails, it makes me more human and a real person than some construct that we want people to believe about us. One of one of my missions is telling the truth about this industry because these people who say, “I quit my job last year in six figures and I’m renting this big house for retreats and we’re spending Christmas in Hawaii.” That is not the norm when you start a business. One thing that coaches missed because the barrier is so low to get in, is that this is not the boom industry that a lot of people make it out to be. It’s hard work. It’s business. It’s like any other business. It’s a slow growth and you need a lot of knowledge. Do you run into that a lot? I’ll tell you a story about a speaker. I used to do weekly live seminars. I would rent a conference room in a hotel and I would bring in different speakers because what happened was I ran out of things to talk about myself. I kept doing that and it was a great source of income for me because I charge people to come in and I also got a lot of clients from it. I brought a speaker in once and he started down that road that you were describing, “I did this. I did that. I have the Midas touch and if you buy my materials, your life will turn to gold.” I got a barrage of complaints from that. This was before email. It was harder for people to complain then. It was a difficult thing. I realized that this kind approach doesn’t work. You see a lot of these coaches and there are some out there who tell that life is all golden and it’s all great. The fact of the matter is that probably only about 1% of all coaches will make over $100,000 in any given year. Most of them are below $50,000. That’s the reality. There are surveys that I can show you. The same is true for consultants, believe it or not. The people that breakout are the ones that see it as the business that it is and get out of the idea that they have this practice and they’re going to trade their time for money. It doesn’t work like that. It’s for go-getters. It’s interesting that you said that about the complaints because I’ve promoted somebody like that when I was brand new and I had a high unsubscribe rate that day. I looked at it and I was like, “Oh my God.” It was sixteen people that unsubscribed and my list wasn’t that big then. For me, that was devastating. You mentioned that everybody has a blog. To stand out, what content would you suggest that people work with that isn’t a blog? There are two pieces. One is being relational and being real and the other one is to help people. There’s this paradox that I’ve talked about in some of my speeches and that is, the more that you help people, the more of you that they’ll want. You probably heard speakers or people being interviewed and they say, “If you want to know the answer to the question, buy my book or buy my product.” The approach to take is, “The answer is on page sixteen of my book and I’m going to tell you what it is right now.” It’s that sharing and that giving that’s going to help you build relationship with people. They don’t want somebody that’s going to hold back. They don’t want somebody that’s going to make them pay for every tiny thing. My wife had hired an attorney once and there was some legal business that she had to do. She got a bill literally for paper clips and envelopes and it torqued her off. That doesn’t fly anymore and people don’t expect that. I tell the story sometimes about See’s Candies. They’re mostly on the West Coast of the United States. There are a few other places, but if you go into one of their stores, someone will greet you or they have a little tray. On that tray, they have sample candies and they hand those out. You don’t have to buy anything. They don’t have any expectation of you doing anything. The fact of the matter is the more candy they give out, the more candy they’re going to sell. People want to understand that you will answer their questions and you know the answer to their questions and you can understand how they’re feeling. That goes to your question. People want to know that a coach understands what the client is going through. The ability to have that knowledge or that intimacy about, “I know you’re struggling. I’ve struggled. Maybe I can help you.” That’s what works. You have to help people with your materials. I see people and I know one now. I’m always trying to pull them back because they always want to be promotional in everything they send out. I say, “You can’t do that.” You have to earn the right to say something about your products or services. 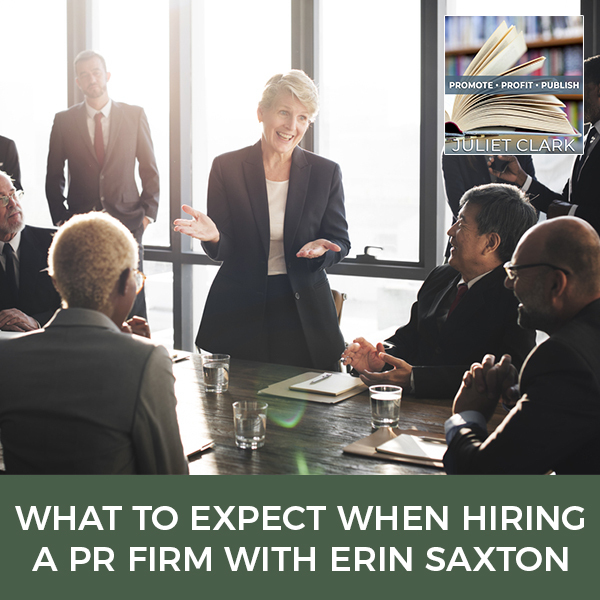 Maybe you’re going to have to send out fifteen different emails or have fifteen different interactions with your list before you earn the right to do that. People will unsubscribe faster than you can ever imagine if they get a raft of promotional emails coming at them. They’ll be like, “No, I don’t want to see that.” There’s no value in it for them. We have to send things that are of value and if we do that, they’re going to look forward to it. I don’t ever send out selling emails anymore. I don’t sell at all. It’s the relationship and take the quiz and talk to us about it. I feel helpful talking to people, but that information every week keeps people coming back more and more. People do look forward to it. What content is working right now? I’m glad you asked that because I have a little system that I use and it’s engagement, education, elevation and segmentation. Let me explain what those things are. You want to start with the education because when we send our first email out to somebody who is new to our list, we want to let them know what to expect from us. We want to let them know a little bit about who we are, if they don’t know already. We want to give them an idea that we’re there to help them. That’s the first email that you send and you might send a few more like that to work them in. We start and I talked about autoresponders or auto-sequencers. It’s the same thing and when we set those up, the first thing out of the hopper is going to be the education thing. Then we go to engagement. Engagement is where we’re sending the information. We’re sending helpful things to them. We’re also talking about ourselves a little bit in that vulnerability type thing that we talked about. Not about how great we are, how many clients we have, how many certifications we’ve earned, how many awards, how many books, and all that stuff. Forget about it. People don’t want to read about it. They want to read about something that makes sense for them. We have the education and we moved to engagement. List Building: People want to know that a coach understands what the client is going through. That’s what I suggest. It needs to be systematized. What happens is a lot of times, people have a list and they’ll say, “I haven’t emailed my list for two or three weeks now. Now, I’m under the gun and I’m going to put something out.” What happens is we don’t do it because we get busy. If we take all this content that we have off our blog and we push it out to people, we don’t wait for people to come to our site because they’re going to come to our site. They’re going to bounce off, especially if there’s no lead magnet, there’s nothing there for them, nothing in their self-interest, they’re just going to go away. I still see coaches that have beautiful websites. There’s no way to convert visitors into people on your list. I’m a big believer in this listing. The list thing, we’ve talked about the whole time, but it’s only one piece. We still need to be out speaking. We still need to be out talking to people. We still need to be interacting. We still need to be seeking referrals. It’s only one piece. We can’t sit back and expect our list to do everything but that’s an important piece. That’s a great point because digital marketing has shifted over the past two or three years. Everyone thinks digital marketing is the end-all be-all, the magic bullet. There is no magic bullet. All the pieces have to fit together. The digital marketing can bring in that cold traffic to warm them up and build a relationship with. Unless you have a physical product, it’s not the place to just click and buy. People don’t click and buy without trust anymore. Would you agree with that? I totally agree. We’ve gotten to the point now where so much of what we see on the internet is not true. It’s unfortunate, but we’ve got there somehow some way that it was described as the Wild West when it first started. It’s the wilder west now. There are so many people trying to sell so many things that we become overwhelmed. I’m of the opinion that if we’re trying to sell something to somebody, we’ve already lost. People buy, people come to us, and people become attracted to us because of how we’ve helped them in the past. If we’re in a sales mode, people pick up on that. If we’re confident and we put the decision in the hands of the people to approach us rather than us hammering them until they give up and say, “I’m going to talk to this guy finally because he sent me 8,500 emails. I have to do something.” I don’t want clients like that. I want clients that are attracted and who think that because they read my stuff or they’ve heard me speak or some other reason that they come to me and say, “I wonder if you can help me. Let me tell you what my situation is.” I’ll have that conversation. I call it a commitment conversation. I want to see if they’ll commit. Not just say yes, but commit to being a client. Then we can move on because we can’t take every client that we think we can sell to because then we’re going to start taking people that don’t fit. When they don’t fit, then we’re not going to be able to help them, and now what have we done? We have a black mark on our record. A lot of you that have programs out there, you may not realize that when you take someone who doesn’t finish your program. They’re never going to say, “It was me. I didn’t pay attention.” It’s always the fault of the person who administers that program. I’m glad to see your process because it sounded like you were waterboarding people into becoming your clients. No, we don’t waterboard. It’s probably the opposite. I want to know because otherwise, you end up with a string of unsuccessful clients. You end up with no referrals. Who knows what? When we do our email sequence, it’s always in the hands of the reader to decide if they are going to respond. That’s important. Some coaches, especially when you’re starting out and you have to pay the rent, isn’t that a temptation? It is and it’s hard. Sometimes people go into the coaching business and it’s like any other business. If you were going to start a dry cleaner and you didn’t have any working capital or you didn’t have any money to fall back on, then you have a big problem. You may go out of business. It’s the same thing with coaching. Sometimes because there’s a low barrier to entry, then people will start a coaching business, but there’s nothing to fall back on. Maybe they can start building a list and start doing digital marketing while they still have a day job and that’s okay. Sometimes if people start their coaching business super cold and they’re broke when they started, they may well have to get a job. Then that’s the end of their coaching business. For most coaches that get in business and they get that one bad client, that’s when they usually start straightening up their enrollment process and being more intentional about it. 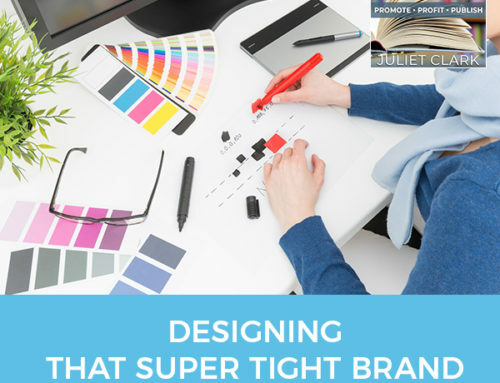 That one bad client can wreak havoc on your time and your emotional output too. That’s the reason why you should have that intentional enrollment process. Jim, where can we find you? If we want to find out more about you, where can we locate you? List Building: There are a lot of reasons why people quit being a client. That’s not always the coach’s fault. You can go to my website. It’s McCraigh.com. Sign up for my list. Not so much to be on my list, but I want you to take a look at what you’re going to get from me. You’re going to get that first educational email. You’re going to get the engagement email. You’re going to get some nurturing stuff. Take a look at what I’m doing. That’s my invitation to people. Thank you so much for being on here. I appreciate you coming and taking the time. I love that. It’s always fun talking to you, Juliet. Jim McCraigh teaches coaches, consultants and speakers raise their game and grow their businesses. 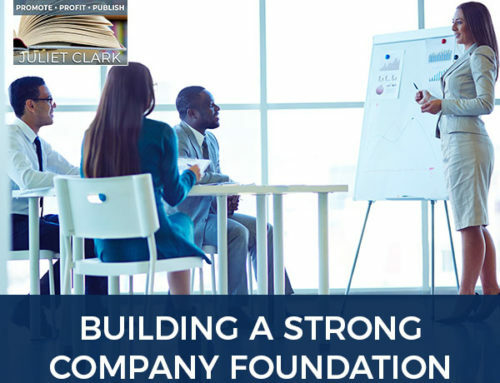 With over three decades of executive coaching, speaking, and most importantly, real-life in-the-trenches business and corporate experience, his views are fundamentally different from most coaches in that he helps his clients with not only the what to do, but the step-by-step of how to do it along the way. The Sleeter Group, The Principal Insurance Company and Bank of the West among others have partnered with Jim when they wanted to teach their employees how to more efficiently and effectively find more new clients. 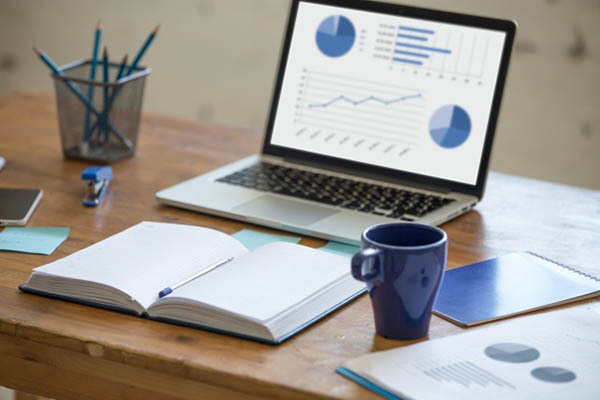 Jim is also the part-time Director of Marketing for the One Page Business Plan Company, an international coaching and consulting firm with over 550 affiliates worldwide. He is the author of How to Write Words that Sell and How to Find More Customers and Clients with Webinars, Seminars and Workshops, both on Amazon. Jim has worked as a professional speaker, coach, and consultant for both Fortune 500 companies and solo entrepreneurs. During that time, he’s helped dozens of coaches, consultants and speakers grow their businesses. 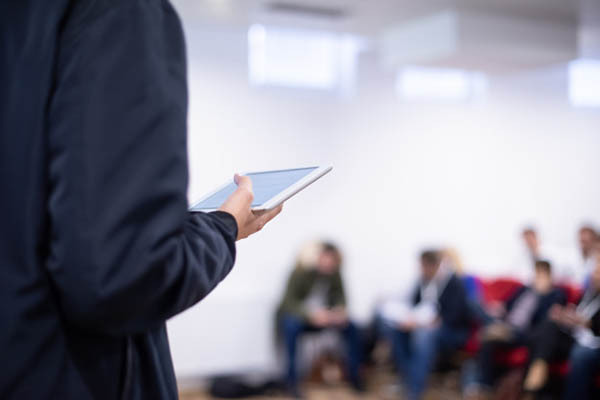 Over the years, Jim has been a guest lecturer at the University of California, Ohlone College, Redwood College and John F. Kennedy University in addition to having presented over 250 other seminars, workshops, and webinars. Along the way, he’s learned what works and what doesn’t, made mistakes and had resounding victories… all of which he shares with his clients!